Website Planet > Blog > Freelance > Are Freelance Writers in Demand? 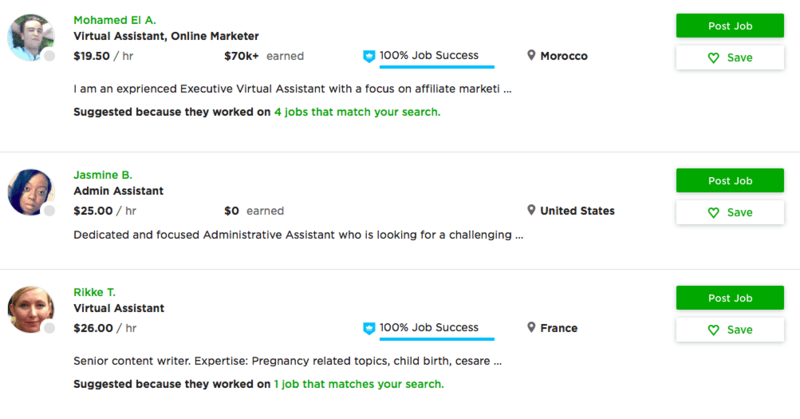 It’s no secret that the future of freelancing is bright. After all, freelancers currently represent a third of the U.S. workforce, and this number is only expected to grow in the coming years. And, if you are a freelance writer, the news only gets better: According to Marketing Mag, content marketing is set to be a $300 billion dollar industry by 2020. Content marketing, simply put, is a type of marketing that involves creating and sharing online material (such as blogs, email blasts, social media posts, etc.) in order to win your audience’s attention and support. And it requires competent writers to execute. 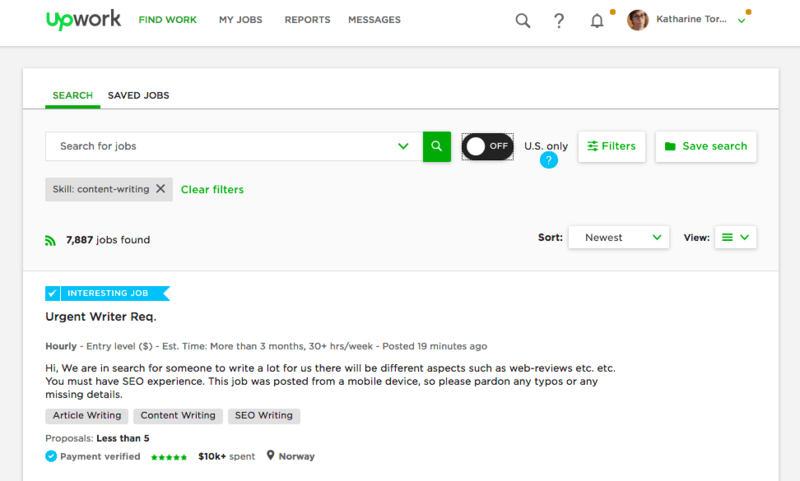 So, if you’re wondering if freelance writers are in demand, the short answer is yes. Read on for the long answer. Traditionally, marketing involved writing a couple versions of ad copy that were meant to reach a large and somewhat poorly-defined audience. However, today we live in the age of information and technology, which means that our marketing efforts have become increasingly segmented and more highly targeted. As well as trying to keeping up with this micro-focused targeting, the scope of content marketing is also expanding to include a growing number of venues, such as email marketing campaigns, social media streams, and a wide variety of shareable content. Not to mention, there are more websites and blogs every day, all which are looking to fill their channels with relevant and meaningful content. What’s more, readers expect to be able to access content at a moment’s notice. News travels at lightning speed, and companies need to work fast to keep on top of it all. Waiting four weeks for the next monthly issue of a magazine is no longer good enough. Consumers want content yesterday—and freelance writers help brands meet this growing demand. Consumers want content yesterday—and freelance writers help brands meet this growing demand. Crafting compelling copy takes time—time which a busy company owner might not be able to afford—as well as a quiet space to be able to knuckle down. One of the great things about freelance writers is that they often work remotely, which means that they’re free from the distractions of the traditional workplace environment. Moreover, due to their specialized background, freelance writers have the skills to complete content marketing tasks both quickly and efficiently compared to the average person. As well as saving time, hiring freelance writers means that a business owner gets to save money when it comes to salaries, company benefits, and office overhead. On a freelance platform, businesses can also pay a freelancer for a content marketing project either by an hourly rate or a fixed price, which means that they’re only paying for the work to be completed in the optimal amount of time. A company owner is required to wear many hats to successfully get their business off the ground. They’re exceptionally close to what they’re doing, which can be both a good and bad thing. While they may know what they want to say, that doesn’t mean they are the most qualified when it comes to actually putting pen to paper. Freelance writers have the skills to strengthen the message that a business owner is trying to communicate, while effectively capturing the brand’s tone of voice. They can turn a piece of bland copy into a captivating sales pitch, thus provoking the reader to take action. This fresh perspective has the ability to greatly extend the efficiency of a brand’s communication strategy. In fact, according to Content Marketing Institute, content marketing generates three times as many leads as conventional marketing methods and can cost around 60% less. What’s more, when it comes to actual conversion, the rates are six times higher than other methods. When so much is at stake, it’s important to ensure that the copy in your marketing materials is accessible and well-written—after all, it’s the public voice of your brand. Not to mention, bad writing looks extremely unprofessional, which can massively jeopardize your brand image and affect the results of your campaign. It’s not surprising that the practice of hiring freelancers—writers as well as a number of other specialties—is becoming more attractive to companies as technology continues to evolve and it is easier for work to be done remotely. The fact is: As the Internet grows even bigger, business owners will need to ensure that their websites stay relevant and up-to-date. There’s always going to be a demand for well-written, persuasive content—and freelance writers can deliver it in abundance.